Writing good headlines require a connection, a promised benefit and a perceived value. Users create 2.2 Million blog posts every single day. With the World Wide Web so full of white noise, what can you do to stand out? Write good headlines! 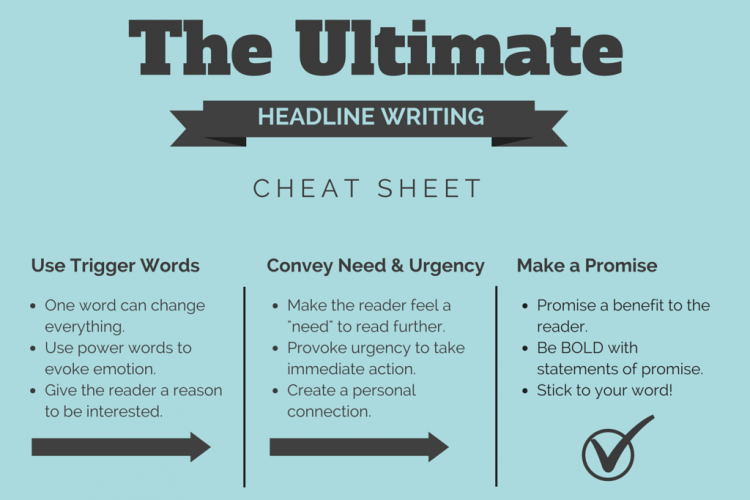 Your headline is the first, and often the only, chance you’ll get to entice a prospective reader into clicking (and reading) your content. A headline that lacks promise and flare will quickly get lost in the shuffle of search results coming from the more than 40,000 queries that are processed by Google every second. According to Ogilvy, your headline accounts for 80% of your content spend. 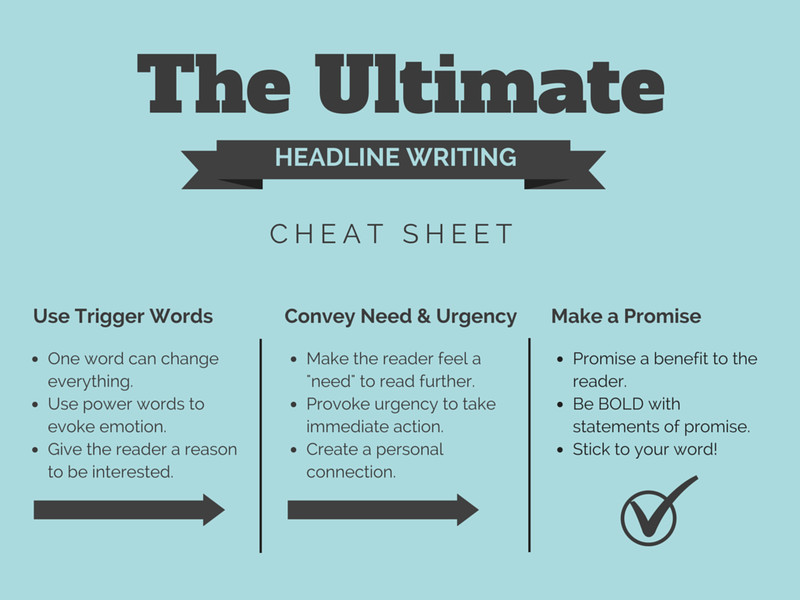 If you don’t have a catchy headline, there’s an 80% chance the reader won’t click on your title. Even if they do click, you’re chances of the reader skimming the body of your content are only 20%. So, you better catch and convert them with that headline—otherwise you’ve already wasted the majority of your advertising or content marketing dollar. People regularly scan headlines, and they take in the first and last three words of the title. With three words at the beginning and three in the end, a six word headline is almost guaranteed to be digested by the reader. People have short attention spans these days. A short, easy to read headline is memorable. Although only a fraction of the people who read your headline will ever ready the body of your content, a headline that doesn’t entice the reader results in a loss of interest. Lost interest leads to lost chances of converting that reader into a customer or follower. ABSOLUTELY! In a previous post, we talked about the importance of using “power words” to produce catchy blog titles. We see it all the time, a single word change results in massively increased conversions. In fact, past businesses have reported improved conversion rates in excess of 100% after making single word copy changes; what’s more, using tools such as Optimizely, marketers are able to quickly and easily implement A/B testing to gain conversion statistics that can ultimately improve their bottom line. Words connect with people and, when you have only six words to write a powerful headline, a single word can make a world of difference. Face it, people who are browsing the web are often bored, tired, or otherwise seeking a connection. If you can use words to connect with your reader, you can grab their attention and, quite possibly, entice them into becoming a continued follower or customer. With the first instance, Langer did not give any definitive reason she should be able to use the machine before the other people in line. And, as a result, only 60% of those in line said OK.
With the second instance, Langer proposed that she be allowed to cut in line because she was “in a rush.” 94% said OK when she asked this way. With the final example, Langer also gave a reason why she should be allowed to cut in the line, “because I have to make some copies,” and still 93% of people said OK. The power of the word “because” is proven here as a trigger that, regardless of what came next, made people more willing to allow Langer to cut in the line. You see, nearly just as many people allowed her to make her copies ahead of them when her reason was simply “because I have to make some copies.” The actual reason that followed the word “because” didn’t matter as much as the fact that she had used a powerful word to evoke the emotions of those in front of her in the copy line—emotions that caused a change of heart and provoked a willingness to let her go before them. Studies like the experiment with Langer, have proven that people are more likely to take action if you give them a reason to do so. Convey a sense of need for your readers. In this headline, Cindy Krum conveys the reader’s sense of perceived “need” through the use of the following words: “Things You Need to Know” These simple words alert the reader by promising that what’s in the body is important. 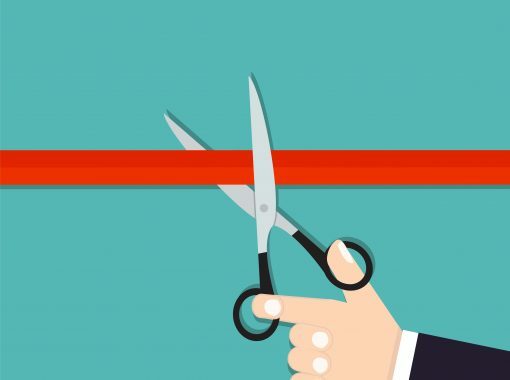 A reader, in this case a likely website owner, will feel compelled to click on the headline and read more because of the promise that the content will provide important details regarding the upcoming changes to a Google algorithm. When possible, headlines should include a promise and they should convey a sense of “need”. The individual reading the headline should feel as if they MUST read the content, the NEED to read the content, and that the content WILL benefit them in some manner. Provoke a sense of urgency to take immediate action. Suddenly, the reader feels as if he or she must take immediate action – there’s an urgency to take action which has been compelled by the headline. Anytime a headline creates a sense of, “hey, I need to read this because it MIGHT / WILL help me,” you’ve connected with the reader. Personal connections with the reader improve following, reduce bounce rates and are likely to result in higher conversions. Social Media Tricks for Maximum Exposure – this headline makes the reader think that maybe what’s to come will help them to gain exposure in their social media efforts. Is Time Really the Problem? Break the Bottlenecks in Content Production – this headline promises readers that the content supplied will help to reduce wated time in content production and, since time is something most are looking to save, provokes an urgency to read and learn more. The most engaging and likely to be read headlines promise the reader some benefit. After all, if there’s no benefit to clicking, reading or sharing—why do it? Headlines that make a promise, that there’s something unforgettable, must have, can’t be missed, to come, are the most likely to be read. For instance, in reading the following headlines, only one really snags your attention. 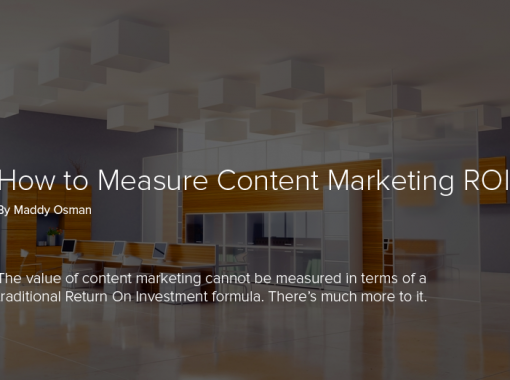 If you’re like most readers, the headline “101 Ways Content Marketing Can Immediately Improve ROI,” is the one that stands out to you. It’s the headline that you are most likely to click on and read, even if you’re punched for time. WHY? Because this headline promises a benefit, “Immediately improved ROI.” The other titles make no promises, they don’t provoke the reader to take action and they in no way stand out. You may be slightly interested in a Content Marketing Interview or Spotlight if the “Random company” that is inserted interests you, but even this headline makes no promises. But, “101 Ways Content Marketing Can Immediately Improve ROI,” stands out because it makes the reader feel a sense of urgency to read, it provokes a “need” to get the information and it promises immediately improved ROI—who wouldn’t want that? A boring headline, such as “How Content Marketing Works,” does not create perceived value, offers no promise and in no way entices the reader to think twice about the subject or the content that follows the headline. The improved ROI piece though, that headline promises so much and gives the reader something to talk about. “Hey, I know what I can do to turn your content marketing around and provide immediate results.” Now that’s something to discuss further and thus, that headline is worth a read. Use trigger words (also referred to as power words) such as: Amazing, Sensational, Staggering, Jaw-dropping or Magic. Make a promise—and keep it! Whether you will promise to teach your reader a special skill or you’re promising to provide the most over the top explanation of why something is WRONG—whatever the promise is, make sure you fulfill it. Don’t forget what you learned in elementary school about Who, What, Where, When, Why and How. When writing catchy titles, remember to provide the reader with these details. Don’t be afraid to be BOLD. Catchy titles often make very BOLD statements, go against the norm or call the reader out. For instance, “5 Ways You’re Wasting Your Content Marketing Budget: (And What You Can Do To Turn Your Marketing Plan Around) This headline is rather long, BUT it first calls the reader out by claiming that he is wasting money and it also provides a promise that a solution will be provided. Be very specific with your headline. A good headline will provide the reader with very specific information that allows them to make a decision as to whether or not they should read further.